The How-To Gal: Shabby Apple Dress Giveaway! Style and fashion are a few of my other passions besides DIY home decor and crafts. So imagine my elation when Shabby Apple contacted me to host a giveaway for one of their popular women's dresses. What I love most about Shabby Apple is the way they create fashion-forward products with hints of my favorite vintage dresses in the details. I picked my favorite three and the winner will receive either Happy Talk, Cider or Marseilles absolutely free! Follow. Become a How-To Gal follower and leave a comment. If you're already a follower, comment telling me which dress you would like the most! Like. Shabby Apple on Facebook, and leave a separate comment telling me you did. Tweet. Oh look! @thehowtogal is hosting a @ShabbyApple dress giveaway http://bit.ly/gX4yej and leave another comment here telling me you tweeted this. I’ll pick a winner a week from today on Wednesday, March 16th. Even better, Shabby Apple is offering all How-To Gal readers a 10% discount on all purchases with coupon code: howtogal10off at checkout! I'm a follower of the how-to-gal, and i love the "happy talk" dress. the flower is gorgeous. i'd love to win one! woops, my email address didn't show up... i'm guessing you need that. angeladspicer@gmail.com... a follower of "the how to gal", and i like the yellow "happy talk" dress. I'm a follower, I think cider is my favorite! Oh my... I am in LOVE with the CIDER dress. I am already a HOW-TO-GAL follower. Love your blog:) I like the yellow dress or the Marseille dress! I'm already a follower! Oh, I've been admiring these dresses. I would love to own one! I love "happy talk!" I am a follower of How-to-Gal and my all time favorite dress on Shabby Apple is "fifth ave"!! I LOVE it!!! I'm now following! I love all three dresses (in fact all of their dresses) but I think my favorite of these three is the Cider dress. Thank you for this chance! A new follower on google reader! I follow Shabby Apple on Facebook - LOVE that cider dress! I'm a follower and I like cider! I became a fan of Shabby Apple on facebook. Love the marseilles dress and just became a follower! Also I like Shabby Apple on Facebook! Of course I liked Shabby Apple on facebook! I follow you, and I'd pick the Cider dress. I am a follower and I like the PINA COLADA dress! Ladies, please be sure to leave an email address if your Blogger account isn't connected to your email address. If you don't know what that means, leave an email address so I can contact you if you win! I follow through GFV!! I LOVE the Cider dress! I'm a follower. I can't decide which one I like better the yellow or the orange!! Both are beautiful! I follow and I love, love, love the Marseilles dress. I'm a follower of how-to-gal and I think I'd pick cider. Tho, they're all beautiful. Thanks for introducing me to such a fabulous company! I love the Happy Talk dress. I would LOVE To get this! And I Facebooked and I Tweeted and I did everything to get that dress! OK. Separate comment for Facebook and Tweet. Did it all. The dress is mine! Mwhahaa! I'm a follower, love the happy talk dress. I look gorgeous in yellow... or so my mirror tells me. I subscribe via google reader. Does that count? I really like the Marseilles dress! 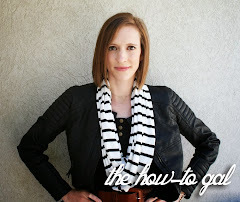 I am now a follower of the how-to-gal blog!! I'm excited to see what is to come. I also LOVE the "happy talk" dress, though they are all lovely. my email is connected to my blogger ID. I have officially liked Shabby Apple on Facebook! I'm a follower and love the Nothin like a dame dress! i like shabby apple on facebook! i don't have twitter or else i would for sure tweet about this too! Cider all the way! ...hope I win. I'm a follower of The How-To Gal now, not only because you are having an AWESOME giveaway, but also because I really like your blog! I'm so glad I found you. And do you know how long I've been drooling over the cider dress? LOVE IT! I "liked" Shabby Apple on facebook too! Thanks for the great opportunity. I am definitely a follower and I know I would love that dress on me! I would love to win the Cider dress! I follow your blog via GFC! I love love the happy talk dress! I love the cider dress!!! so cute! I liked Shabby Apple on facebook! Love their stuff!!! Oh how I LOVE the Cider dress. I've been following you for some time now, but now I'm official! I'm a follower of your blog of course! My favorite dress is the Pina Colada...I LOVE YELLOW!!! I'd love to win the super classic marseilles dress! Thanks for the chance! I;m a follower of yours! I love the happy talk dress, very spring-y. I;m a follower of shabby apple on fbs! I'm a follower of how-to-gal, and I would LOVE Happy Talk! The color is so bright and cheery. I LOVE Shabby Apple on Facebook! I am a follower and I could so use a new dress. They are all so cute! I love the Lincoln Center dress! (oh, and my email is: chloe(dot)bozarth(at)gmail(dot)com) sorry! These are Beautiful dresses! masekspam@gmail.com Just joined your site. GREAT ideas! plus I love shabby apple on facebook! I am a follower. I love those dresses! The Cider and Happy Talk are my favorites. They're gorgeous! I am a follower! I love Shabby Apple! Hey there! We'll have the whole ward following you. ;o) I'm now following, and I love the cider dress! I like Shabby Apple on FB. I love all three dresses but the cider one would probably look best on me, though I might like it in another color. I “liked” them on facebook! Under “Ellen G."
I like the happy talk dress! I'm a follower! And I love Cider. So darling!! I love the North Shore dress!